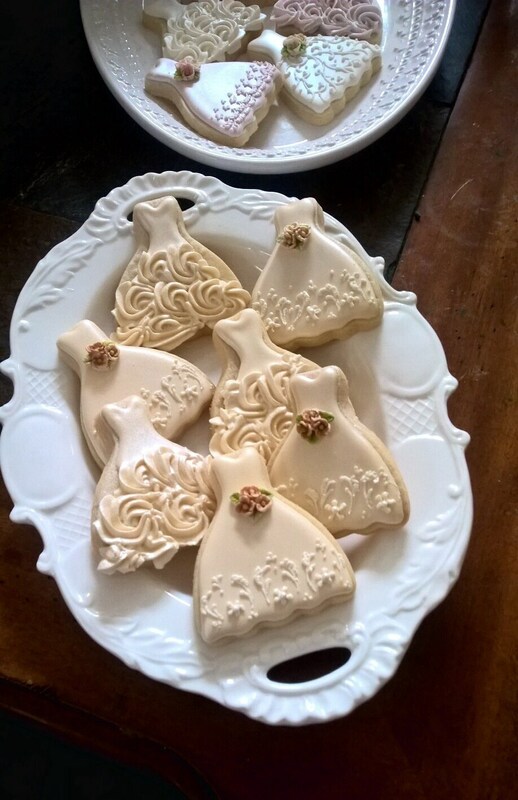 This listing is for 24 PIECES of this lovely petite gown cookies with a molded fondant flower bouquet accent. 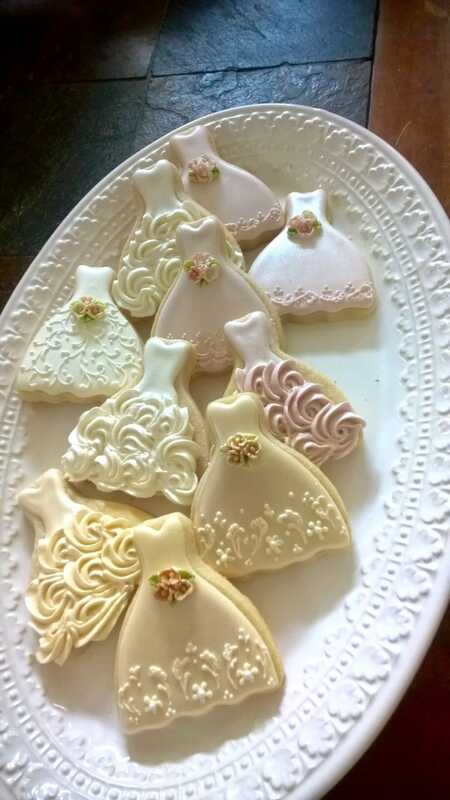 Each cookie is approximately 2.75 x 3 inches in size. 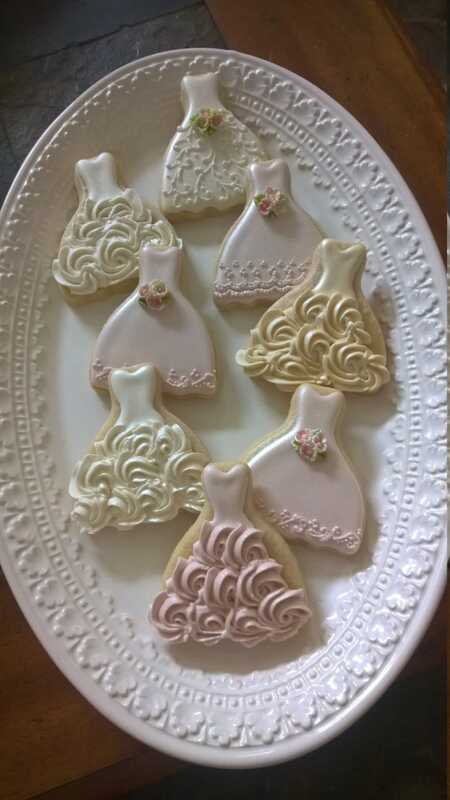 IThey are iced with royal icing and finished with shimmery white satin confectionery luster dust. They will be individually wrapped in clear cellophane. 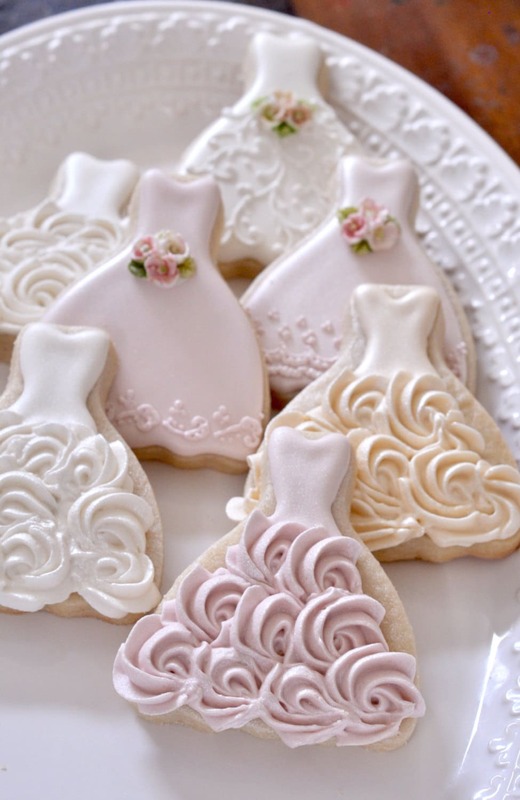 Option to have ribbon is available on this cookies. Please check price differences. Slight variation in prices between single colored theme, and Multi color (up to 3) for the gown and ribbons. Bouquets can be colored in however many color you want them (will still be considered single color, if gown is in one color). 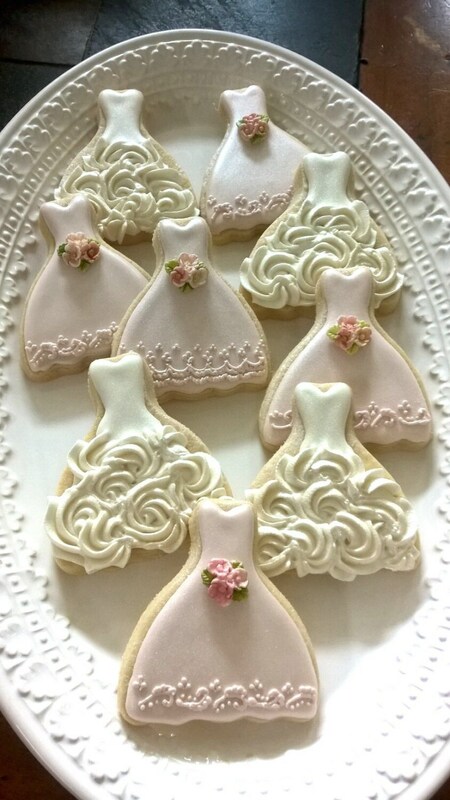 Gown in white, lt pink, and dark pink will be considered Multi colored (example).